On the recent Ligonier tour of Reformation sites, Dr. Sproul met up with Sebastian Heck Ligonier’s German project coordinator in the historic city of Heidelberg where he is church planting. Being involved with publishing both in print and on the internet, Sebastian is the leader of a movement called Reformation2Germany and currently partnering with Ligonier in resource production. 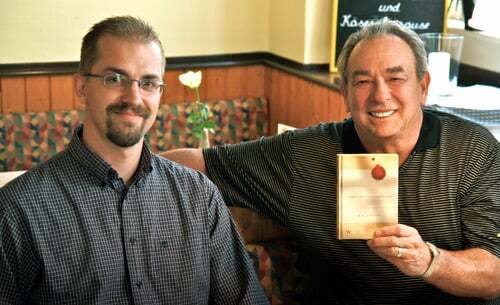 Dr. Sproul was surprised during the visit when Sebastian presented him with a copy of Was am Kreuz geschah (The Truth of the Cross) hot off the press. Buy Was am Kreuz geschah in Europe for 14,95 EUR.